As inter-Korean relations face an uncertain future following the breakdown in US-North Korea negotiations in Hanoi, the North Korean authorities are intensifying crackdowns on the distribution of a DVD containing a performance by South Korean artists in Pyongyang in April 2018. “The DVD contains the South Korean performance in Pyongyang of ‘Spring is Here,’ and has been designated by the authorities as an illegal item. 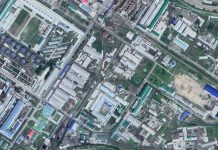 The Ministry of State Security (MSS) is cracking down on those who distribute or view it,” a Ryanggang Province-based source told Daily NK. 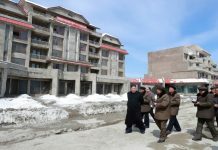 Daily NK reported in November that the video of “Spring is Here” was being sold in Sunam Market, the largest wholesale market in the country, located in Chongjin. Sales of the DVD appear to have spread outside of Chongjin. This recent crackdown appears to be an extension of the “anti-socialist crackdown” that began last year and part of efforts by the authorities to counter weakening ideology among the population and waning loyalty toward the regime. Despite active cultural and arts-related exchanges between the two Koreas last year following three inter-Korean summits, the North Korean authorities have sought to prevent the spread of capitalist culture inside the country, including Hallyu, or the Korean Wave. Recently, the authorities have even cracked down on the sale of South Korean products in the markets. North Koreans, however, have continued to seek them out despite the government’s efforts. “South Korean TVs, Cuckoo electric rice makers, and clothes are really popular. 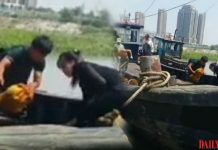 Crackdowns on these products have intensified, but merchants just sell them under the table,” said a source in South Pyongan Province. The Pyongyang performances by South Korean musicians were held in response to the Samjiyon Orchestra’s performance in South Korea in February. The events occurred on April 1 and 3 at the East Pyongyang Performance Hall and Ryugyong Jong Ju Yong Gymnasium.